Research has shown that the right diet can help people prevent or recover from cancer. In this book, JoAnna Lund presents 175 low-fat, low-sugar, easy-to-prepare recipes for nutritious, healing dishes that will enable cancer patients to fight this devastating disease. Lund's common-sense approach to healthy eating has helped thousands of people cope with conditions like diabetes and arthritis and here she offers tips on how to facilitate cancer recovery with moderate exercise, a positive attitude and a healthy diet. 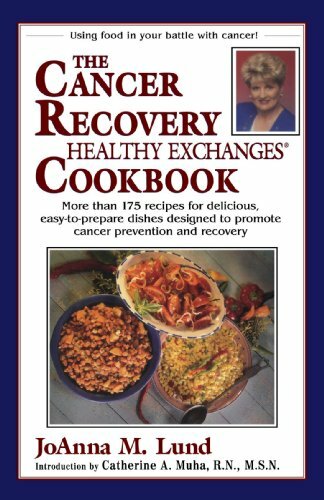 Full of delicious recipes and sound advice, this book is an invaluable resource for all cancer patients and care givers.